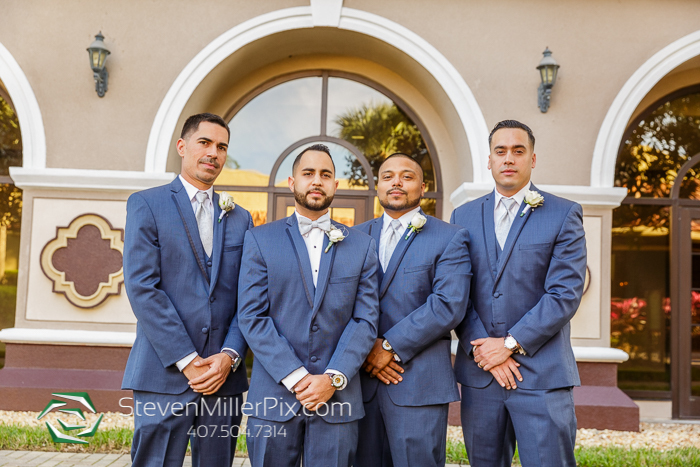 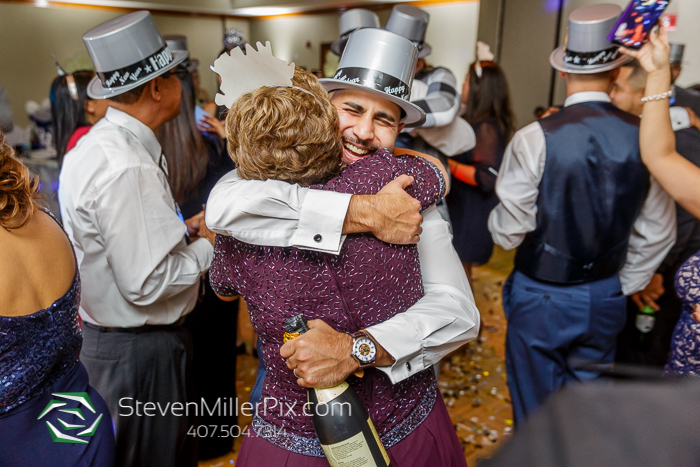 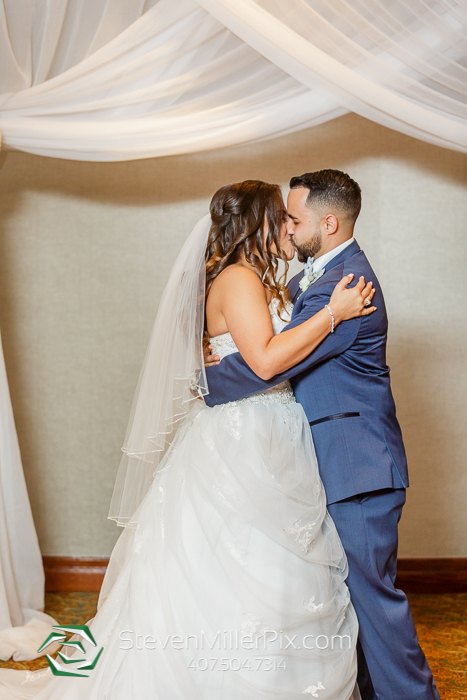 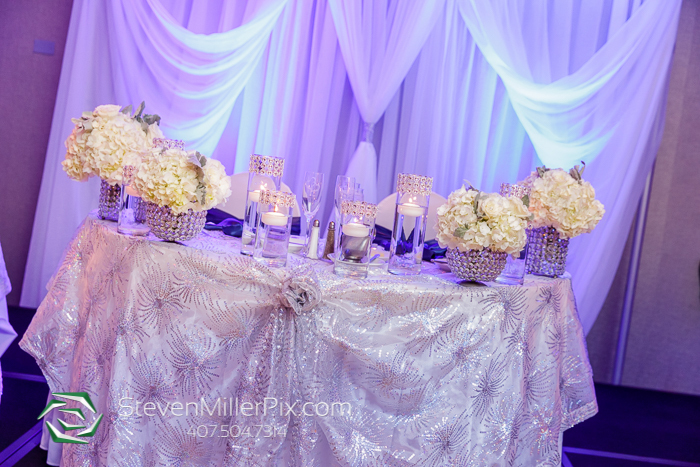 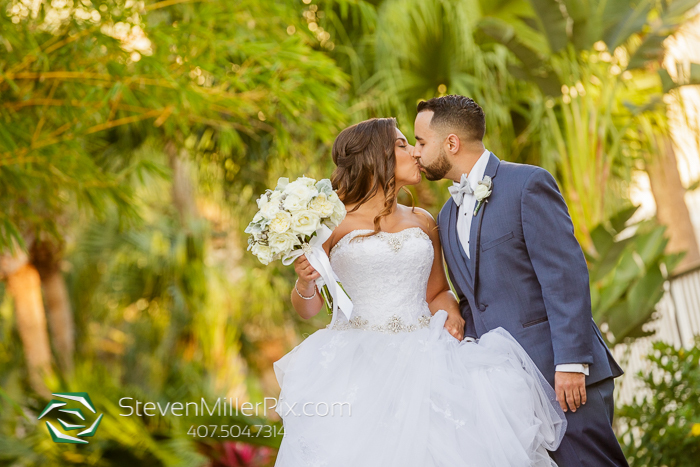 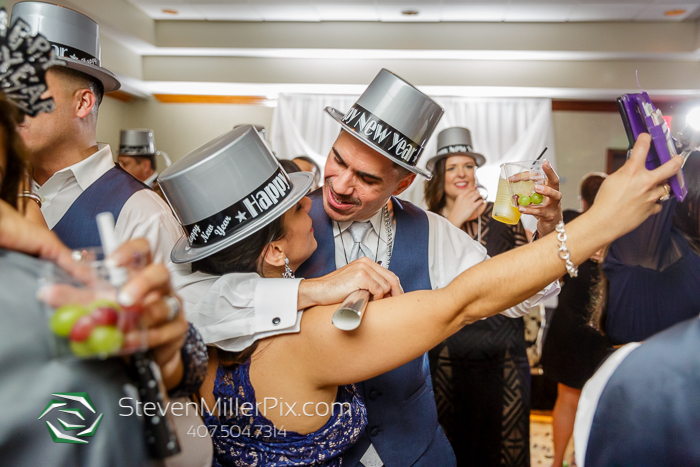 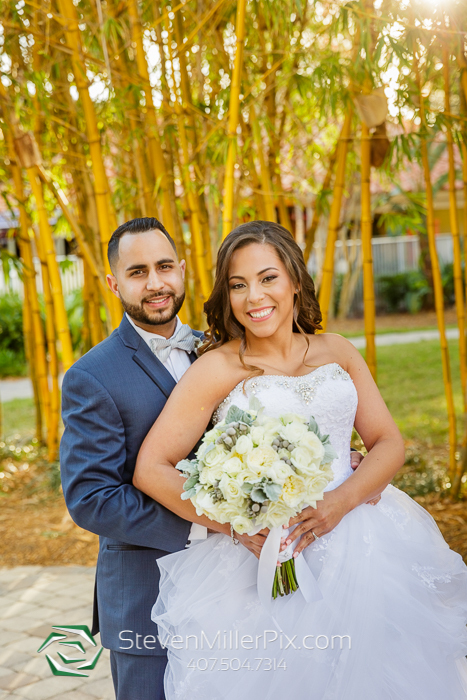 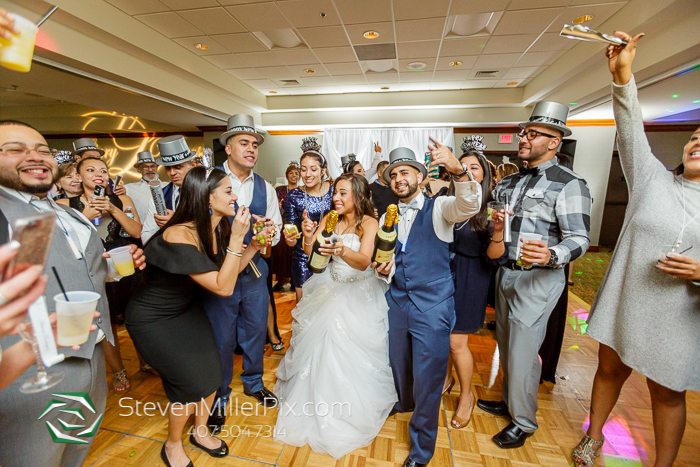 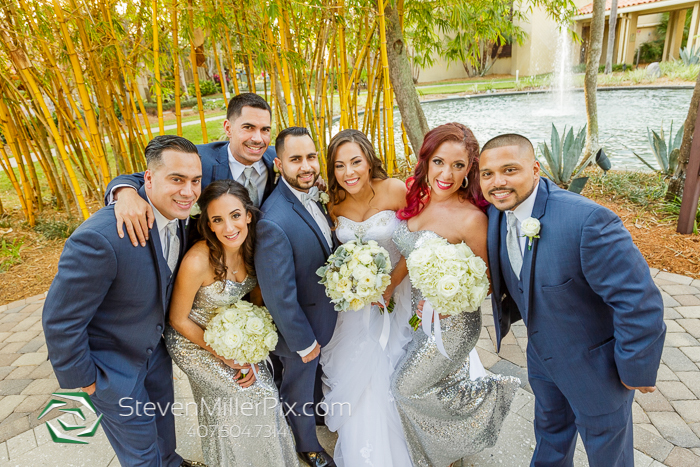 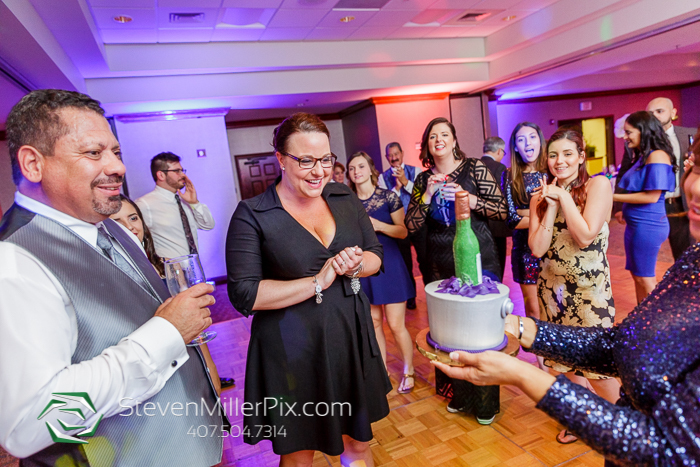 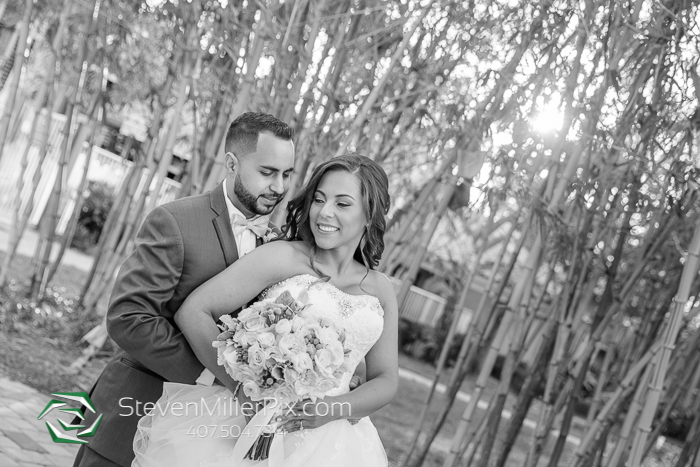 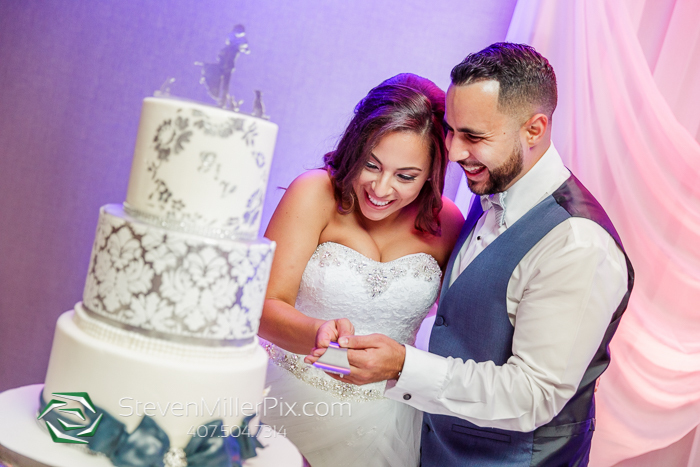 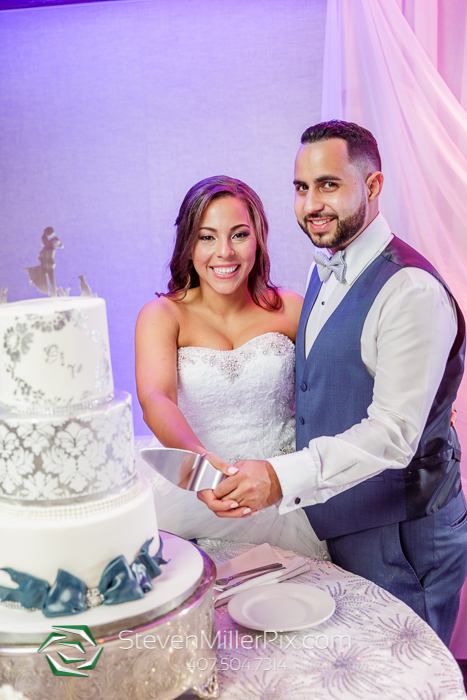 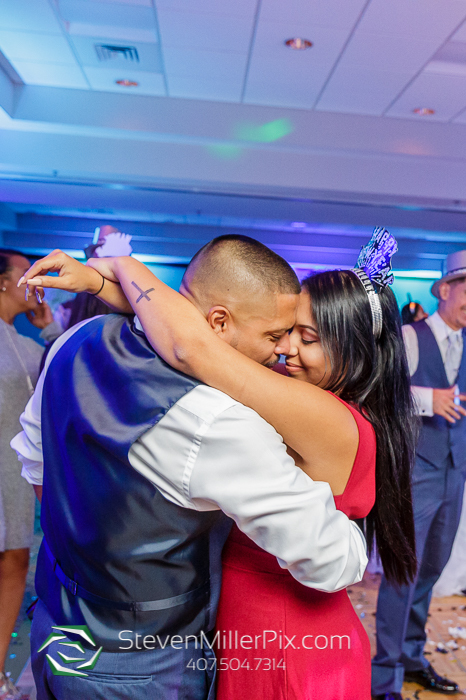 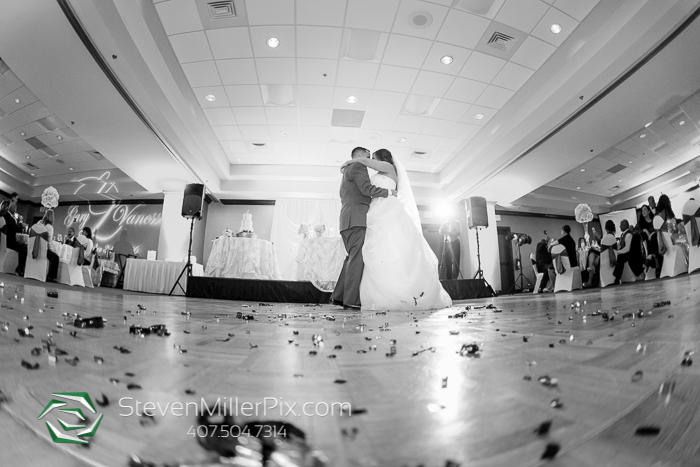 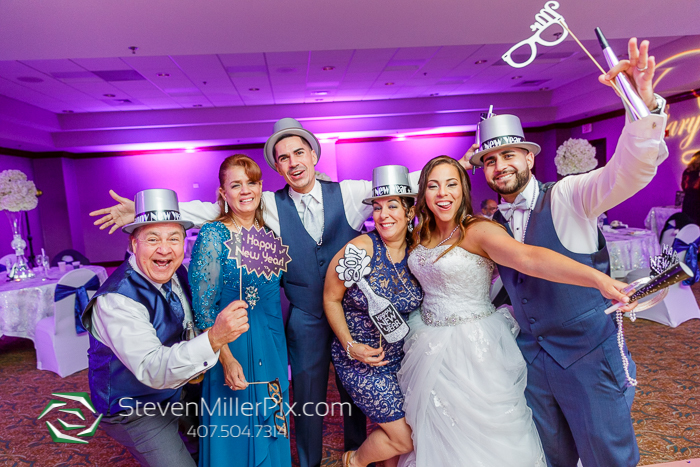 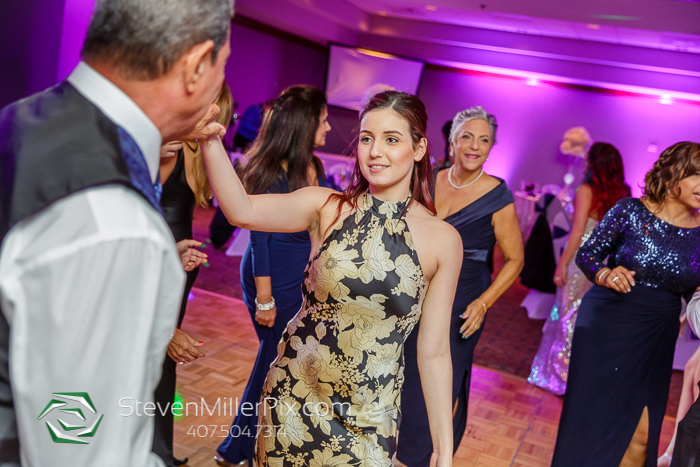 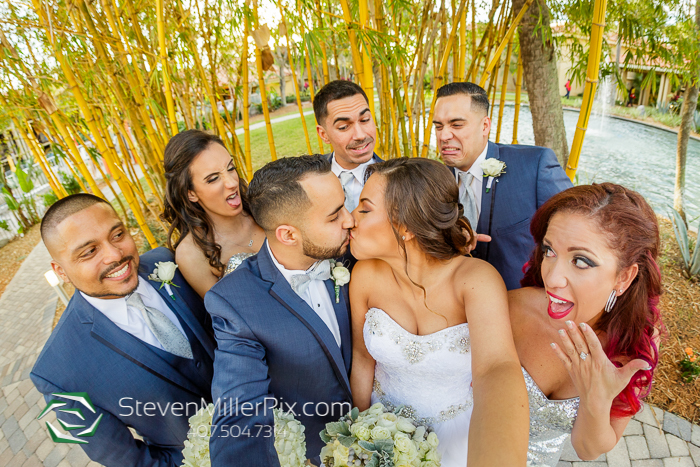 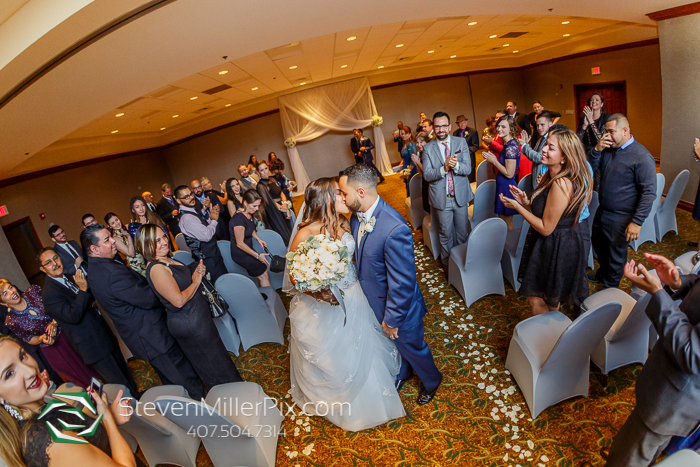 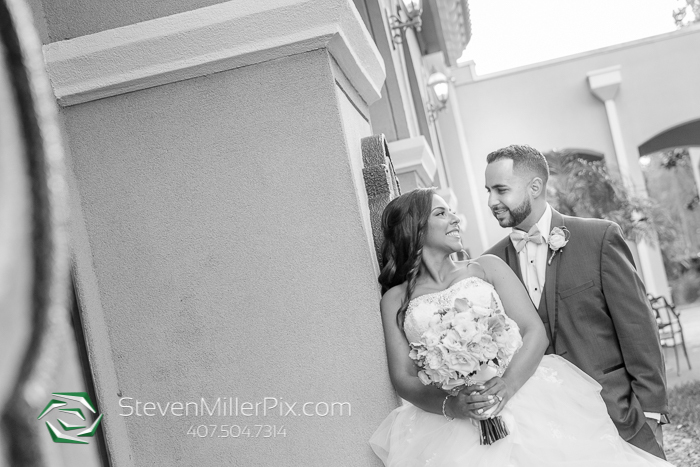 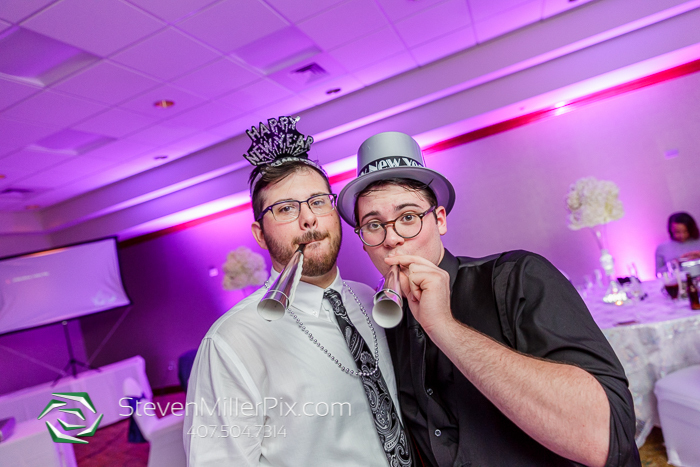 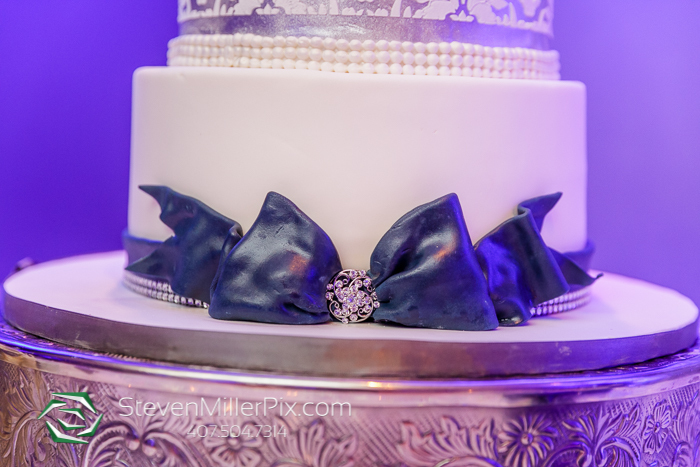 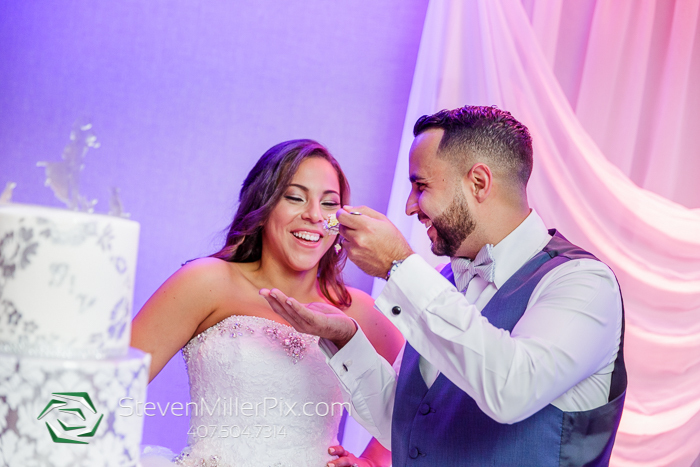 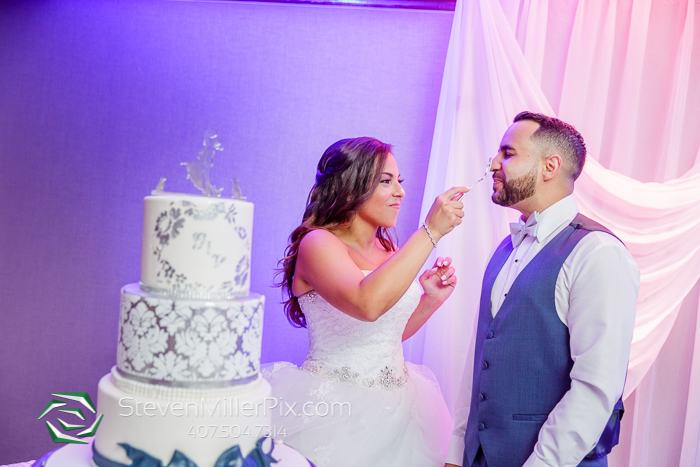 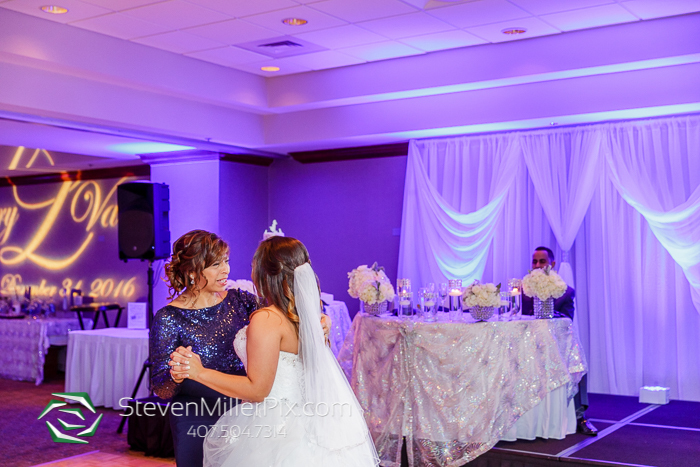 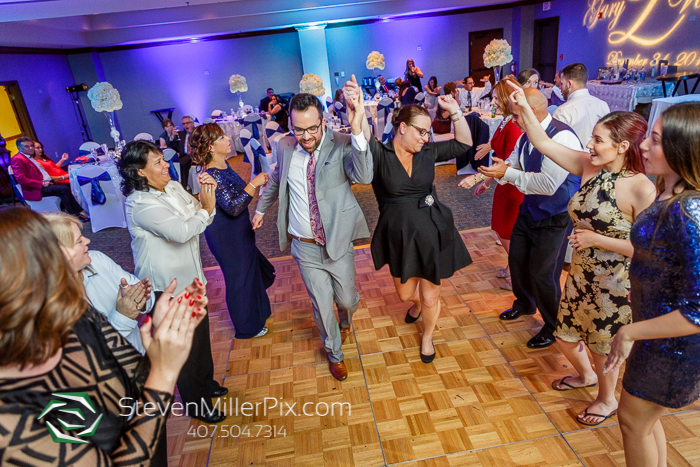 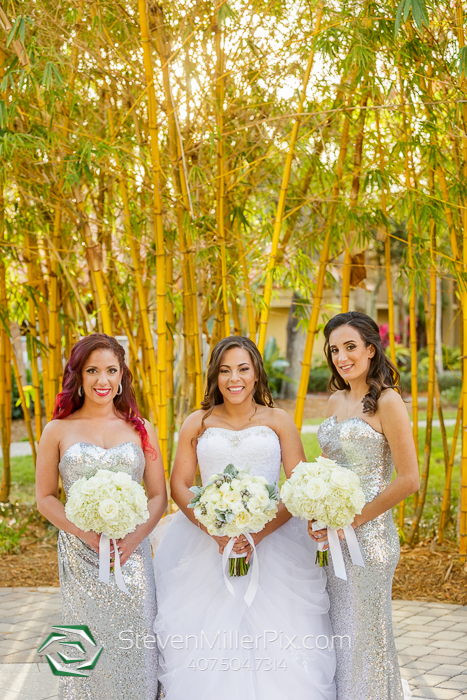 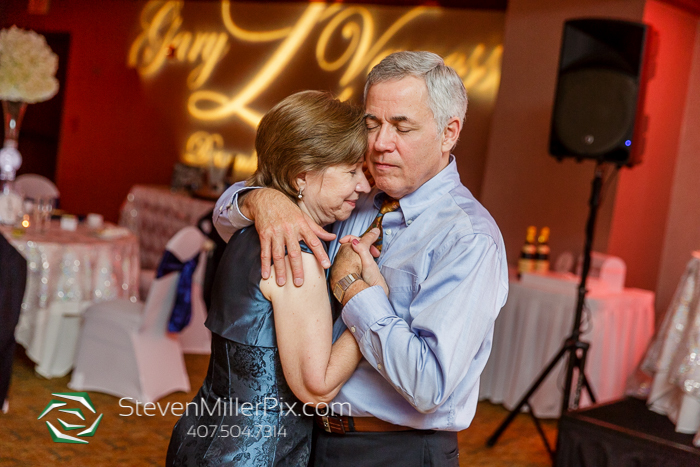 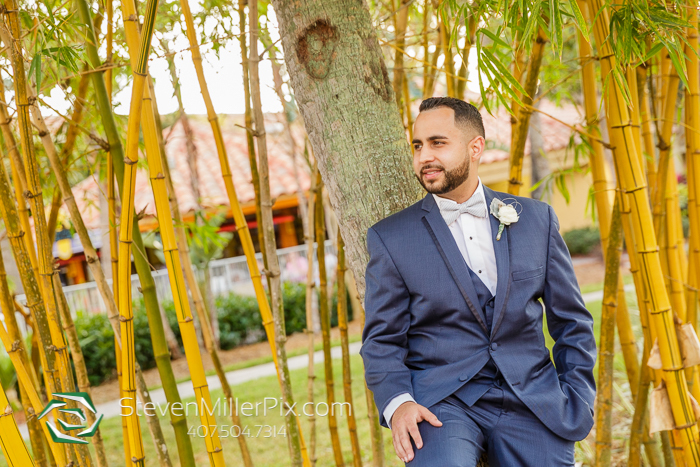 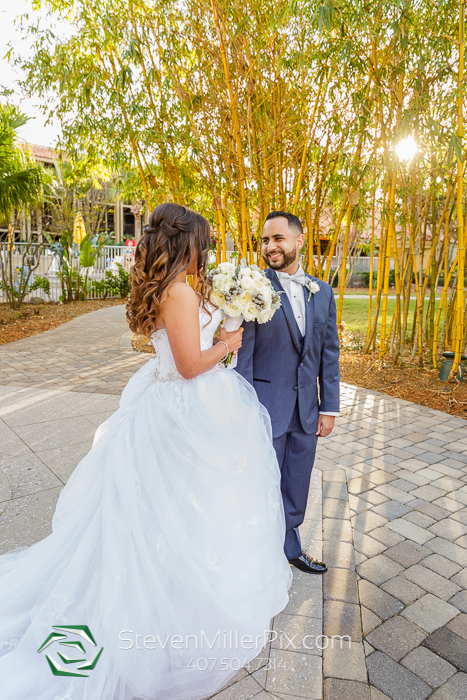 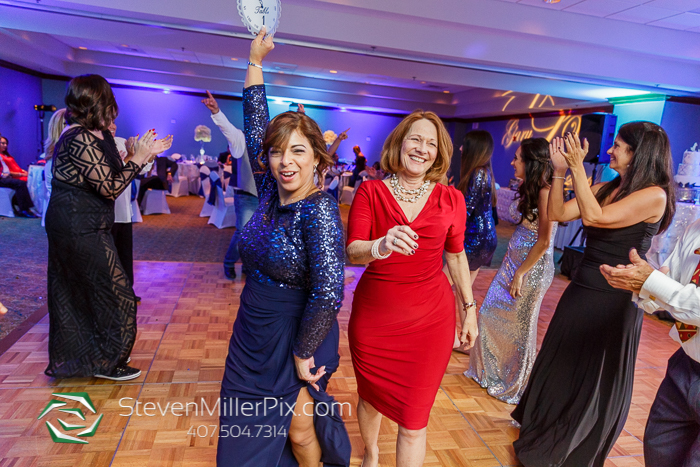 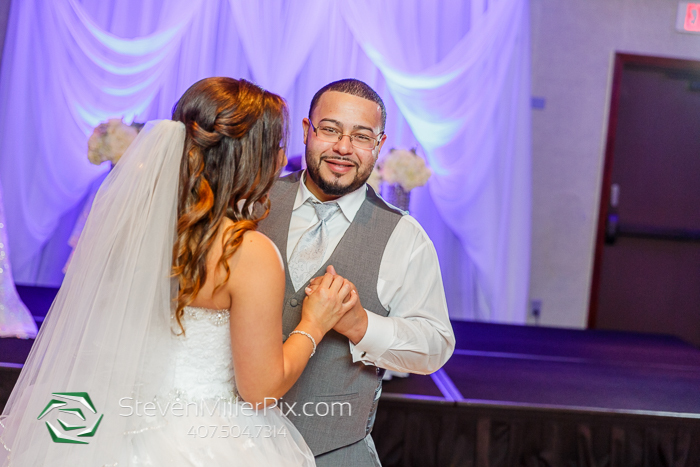 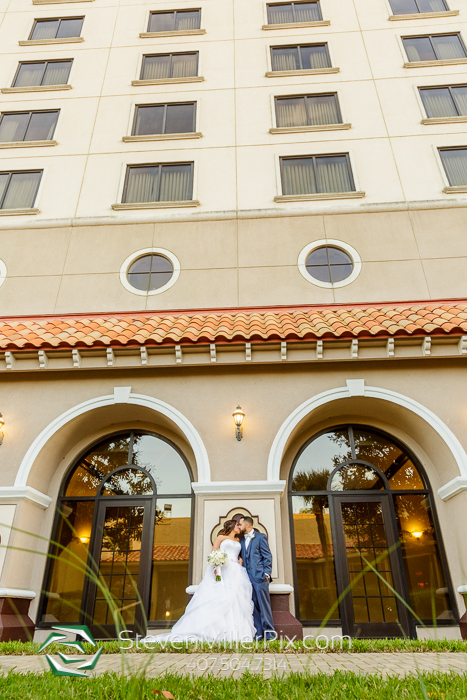 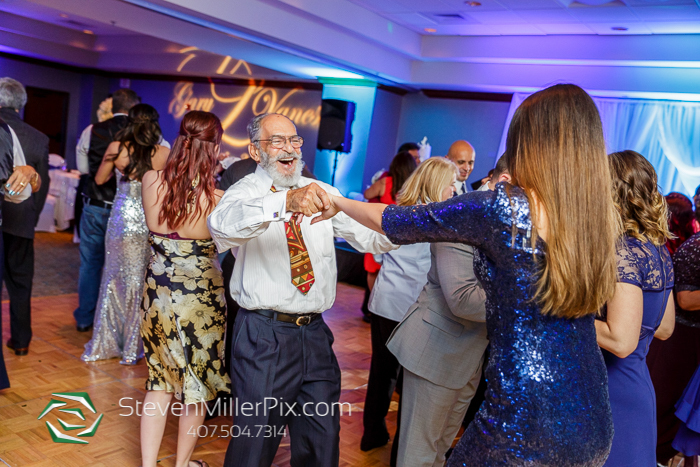 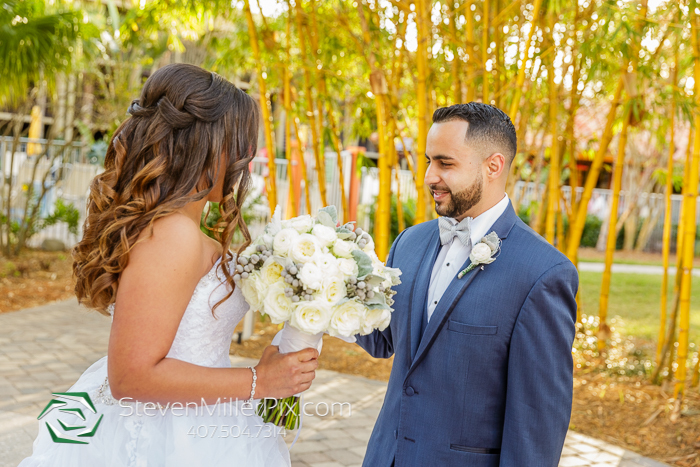 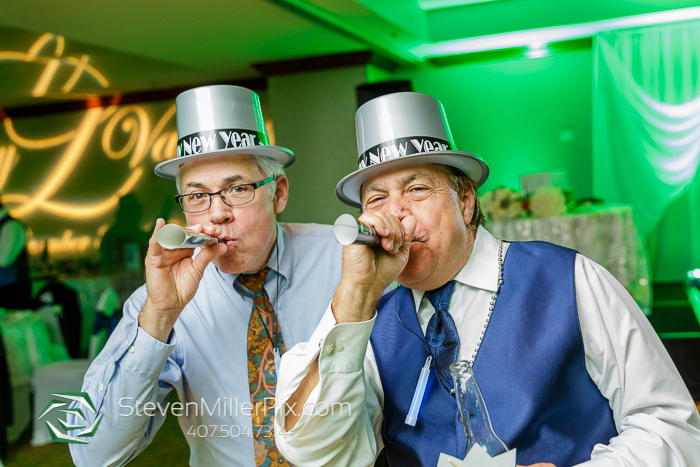 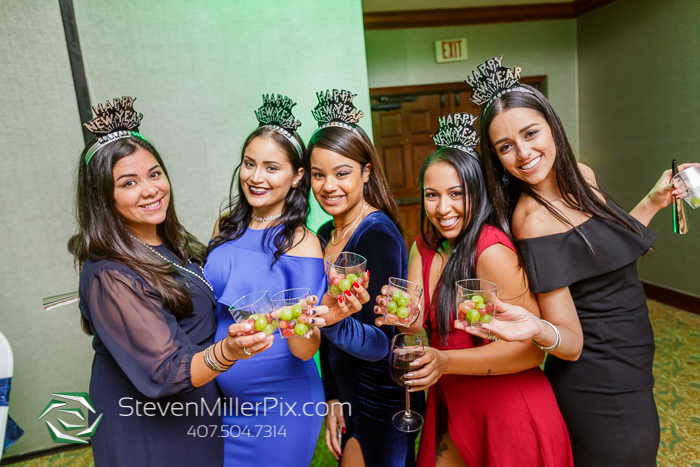 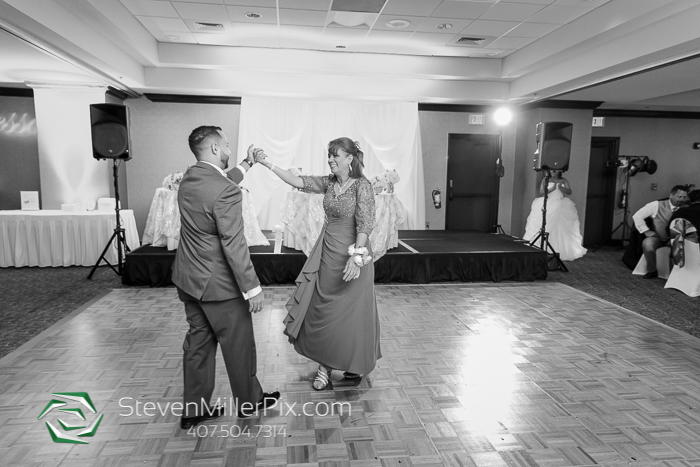 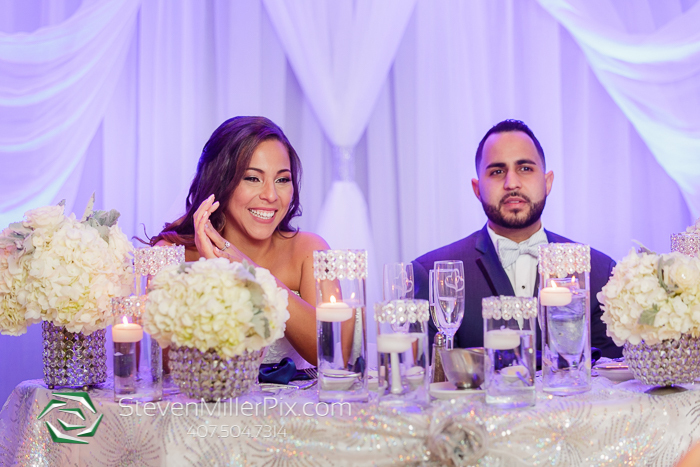 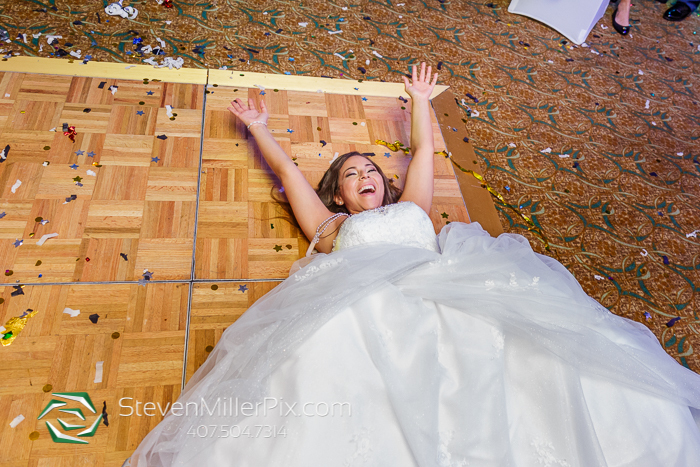 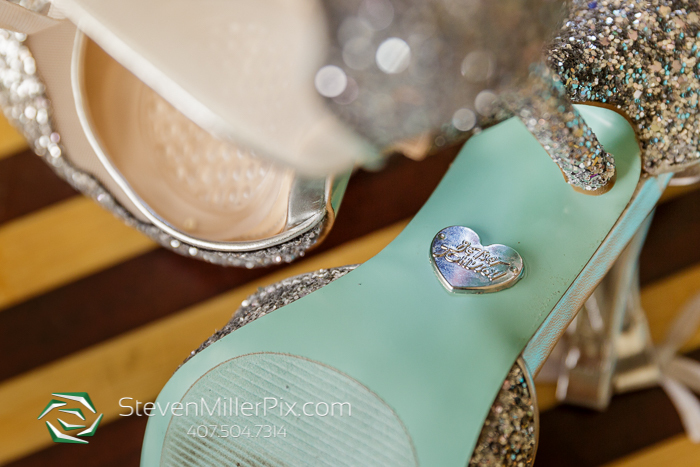 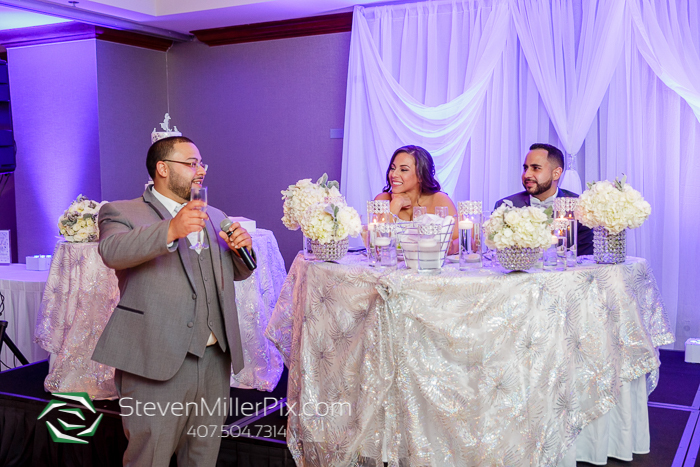 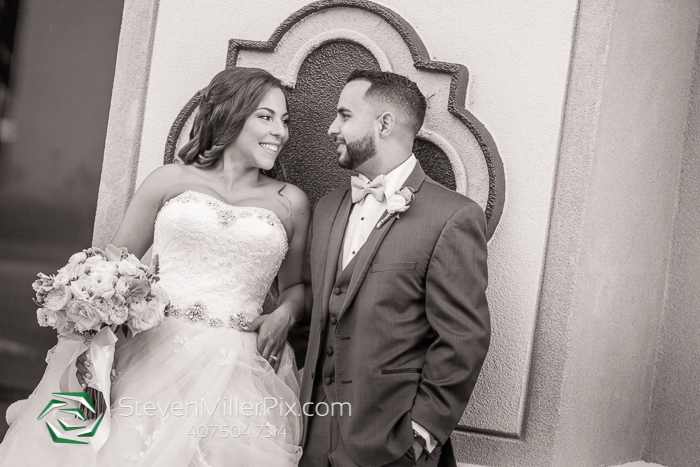 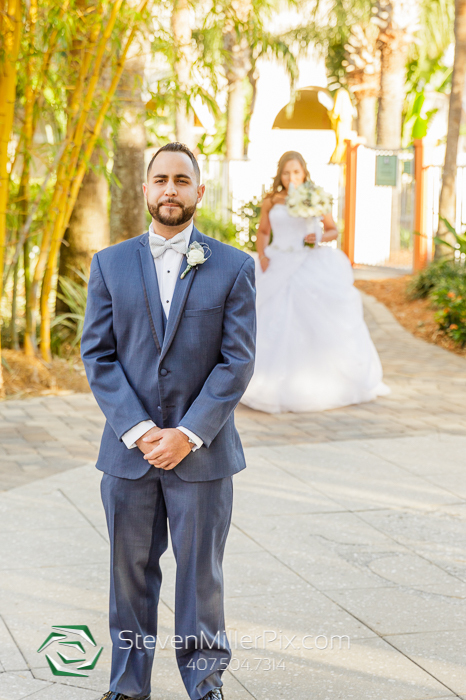 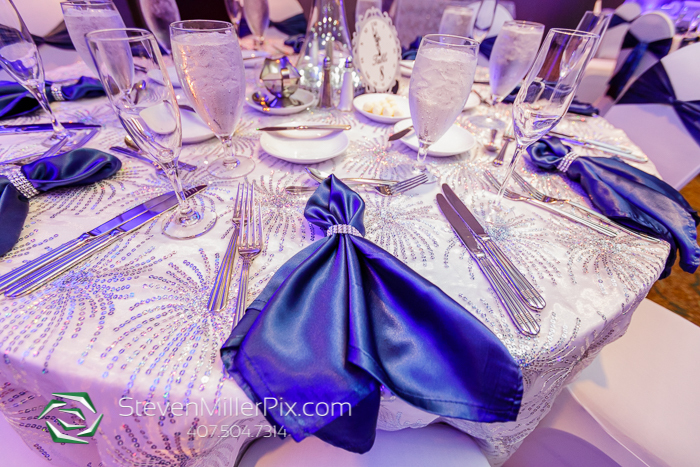 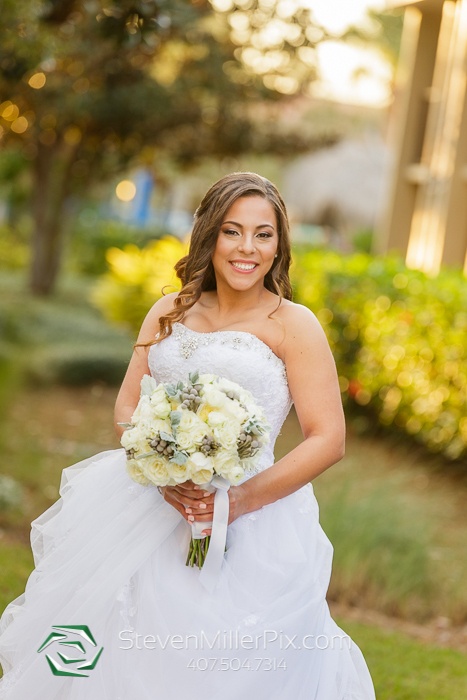 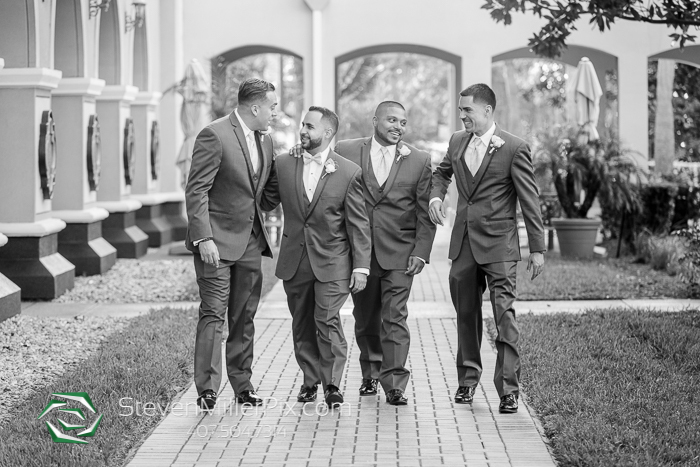 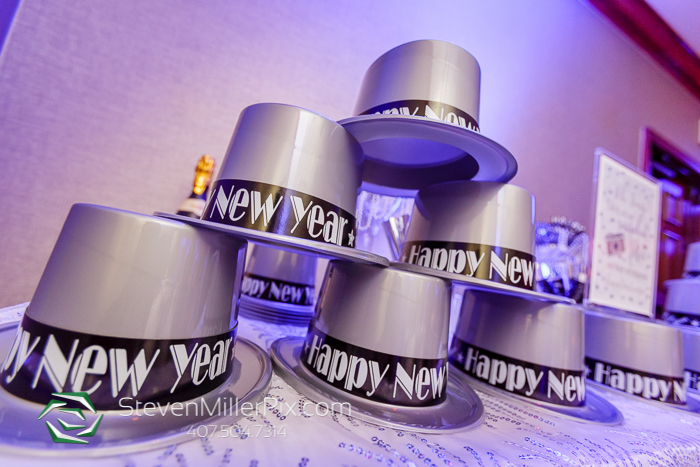 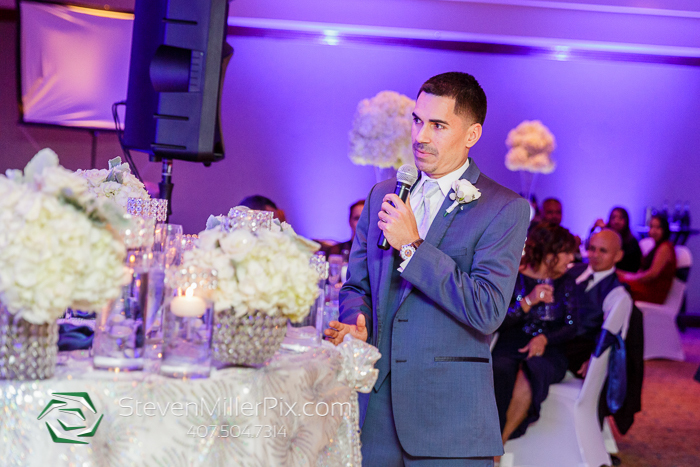 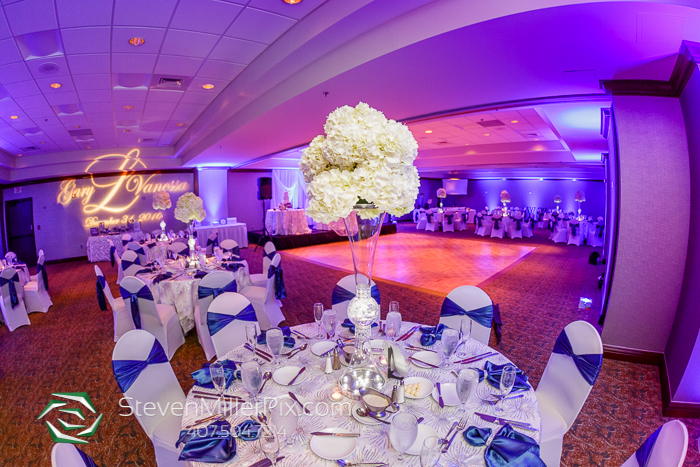 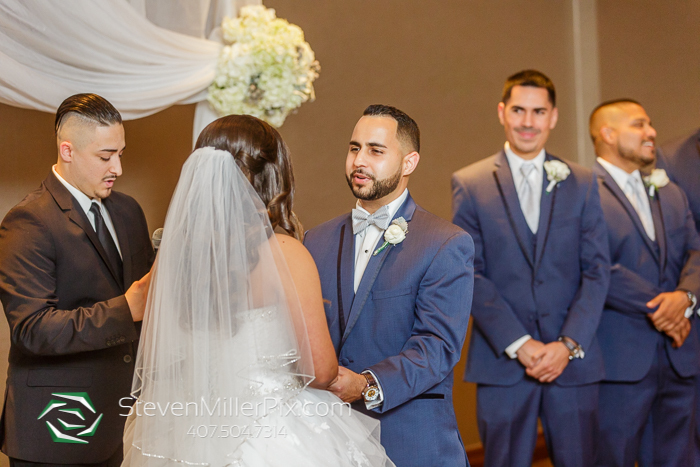 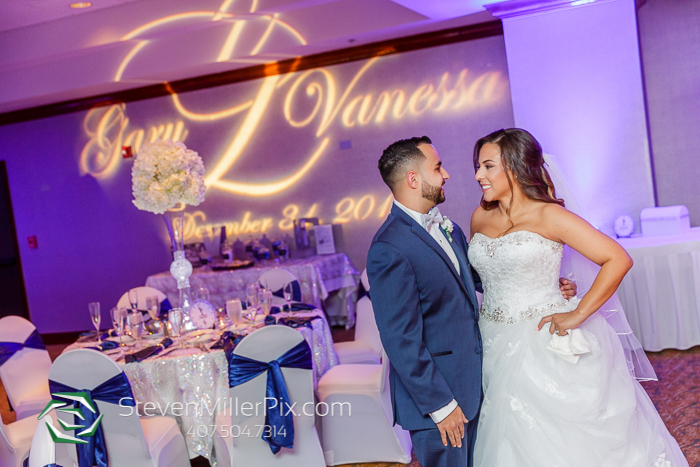 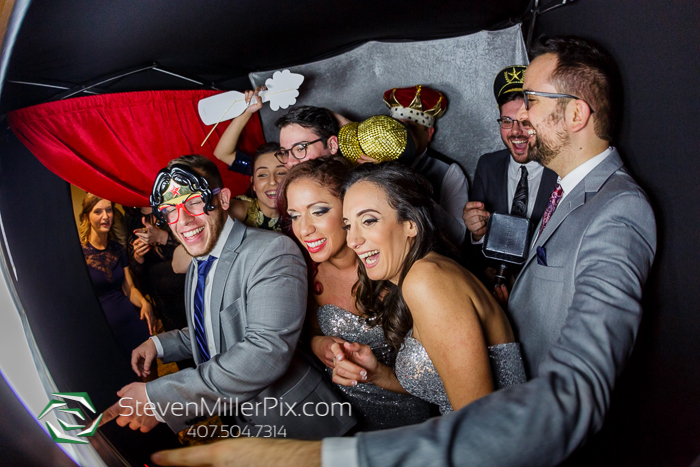 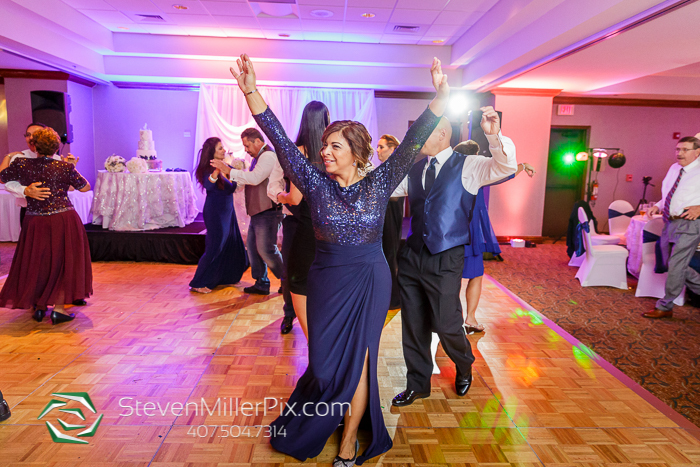 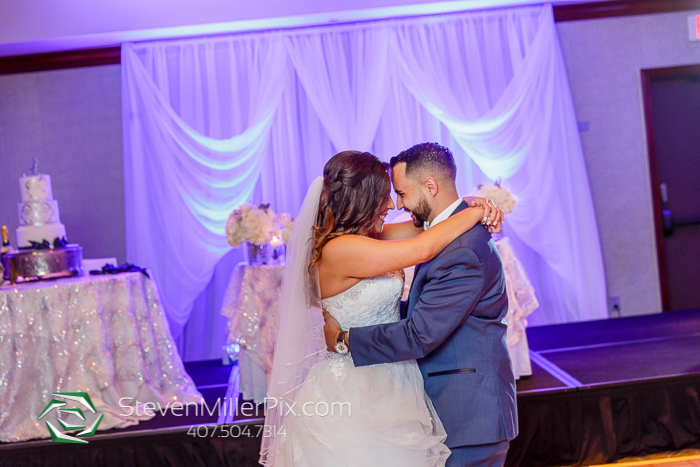 Photographers Steven and Michael had an absolute blast capturing the fun and exciting wedding of Vanessa and Gary at the Doubletree by Hilton at Sea World in Orlando! 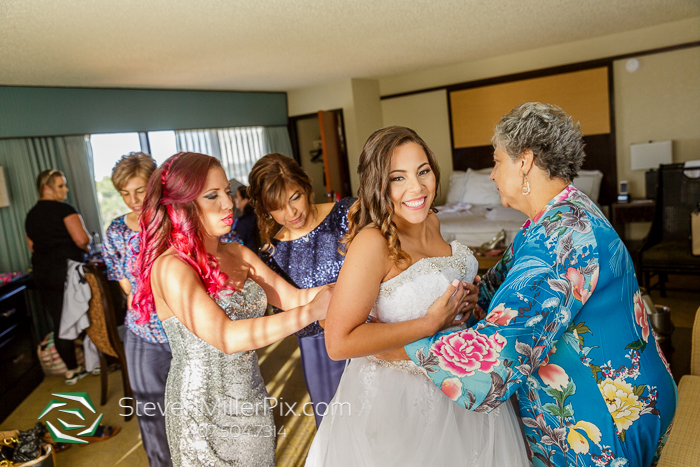 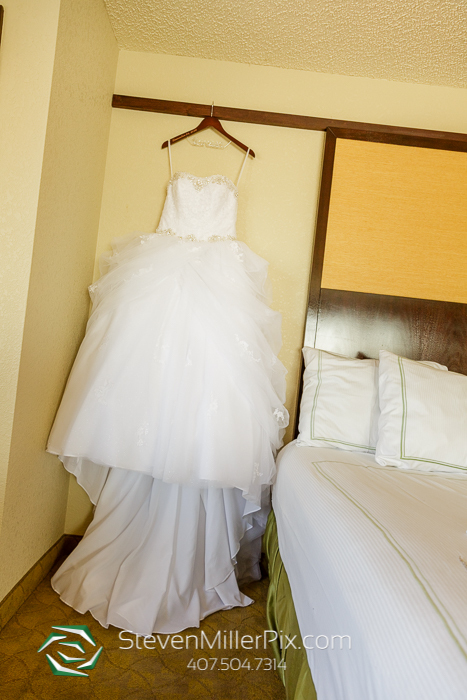 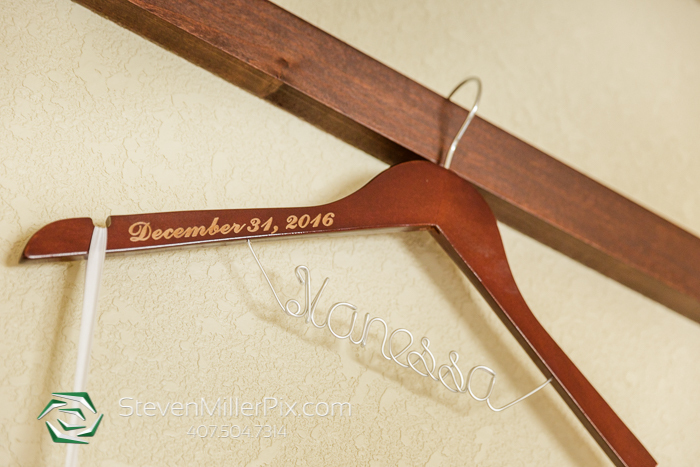 We arrived early and began capturing the preparations of Vanessa in the bridal suite. 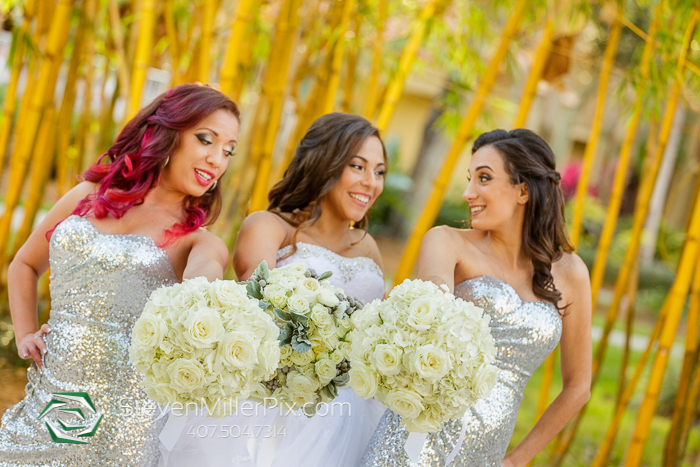 With the help of Destiny & Light Hair and Makeup Group, Vanessa and her bridesmaids all looked stunning for the big day! 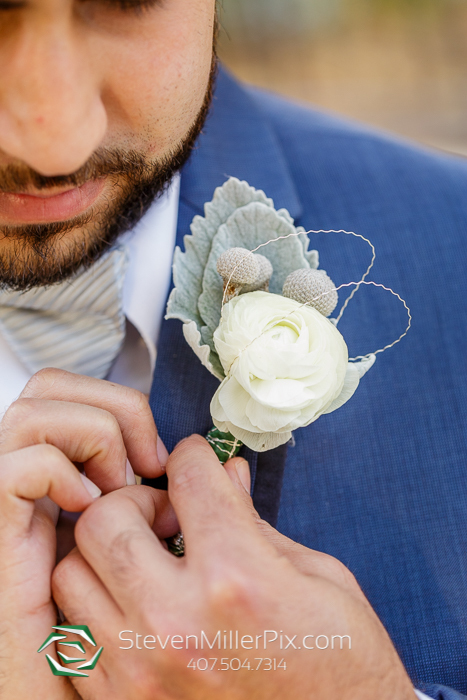 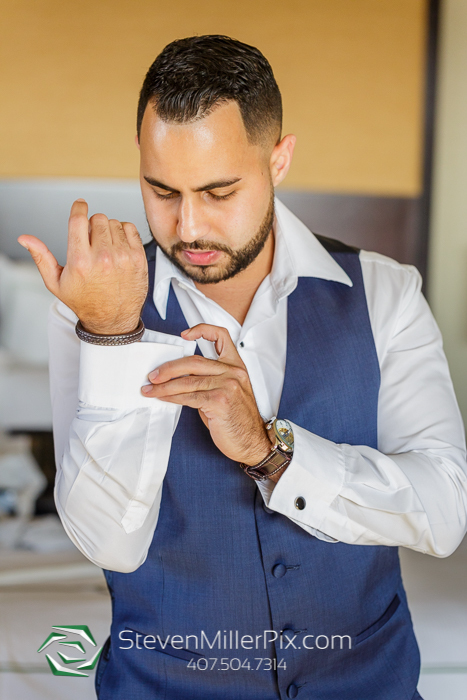 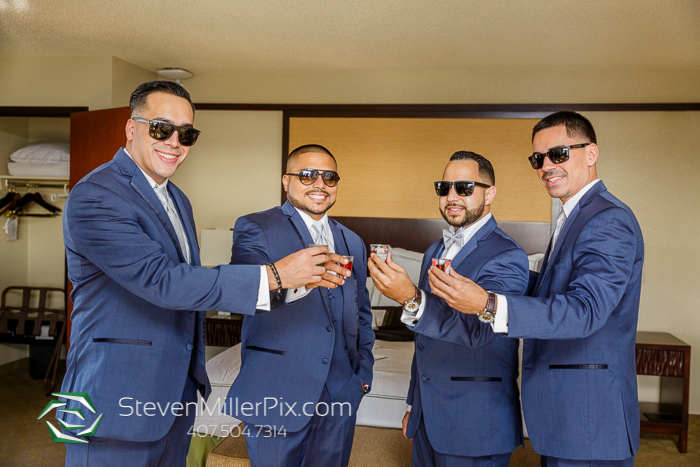 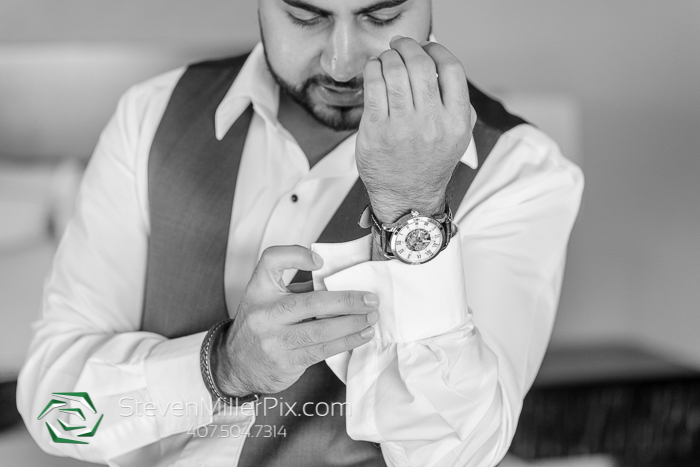 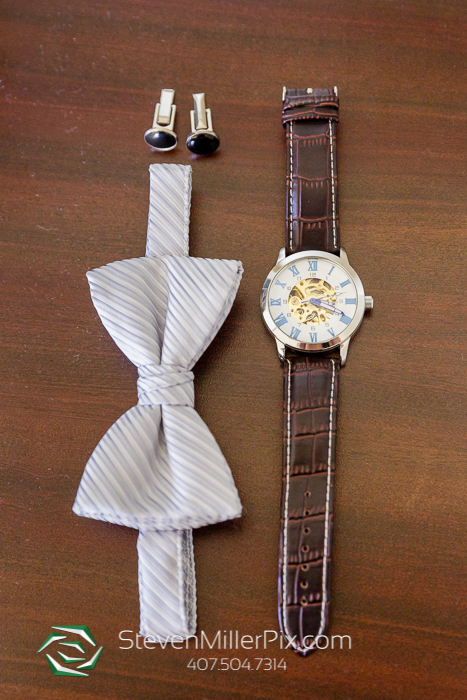 We were also able to capture Gary as he got ready with his groomsmen! 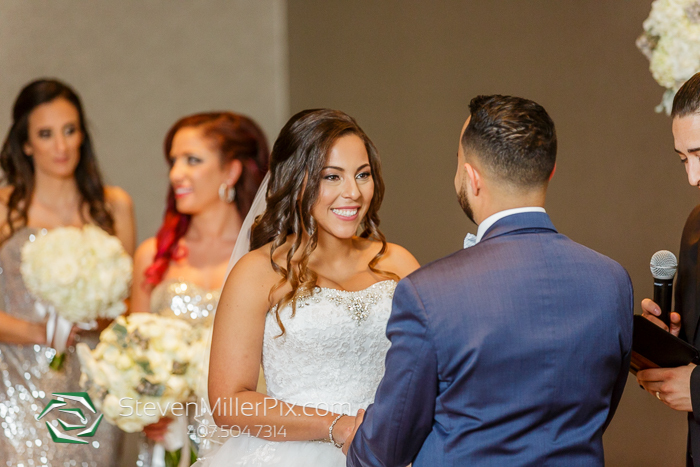 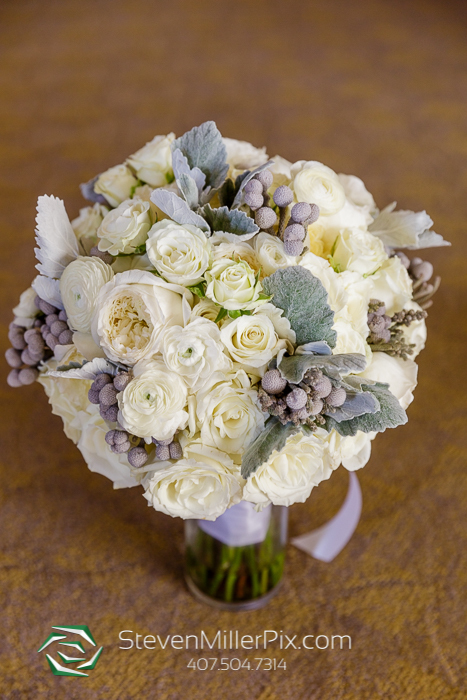 Thanks to RJ Glamour, the beautiful floral arrangements for the bridal party were delivered to the room. 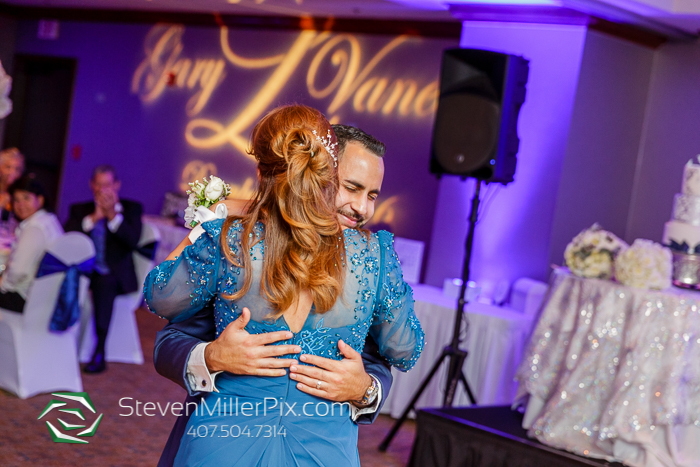 After preparations were finished, we were able to capture an incredibly sweet moment as Vanessa and Gary got to see each other for the first time before the ceremony. 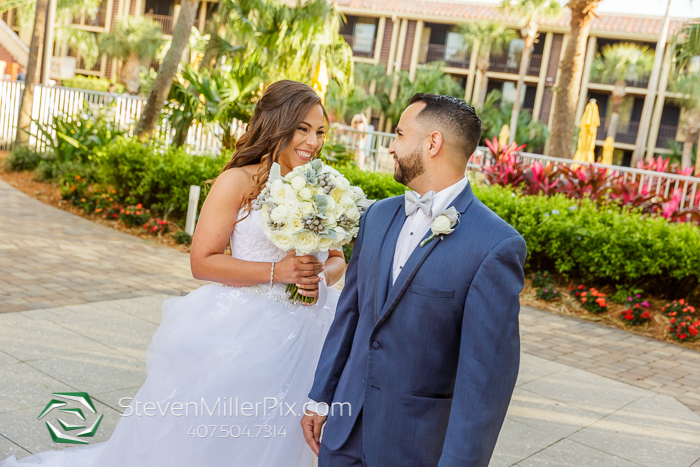 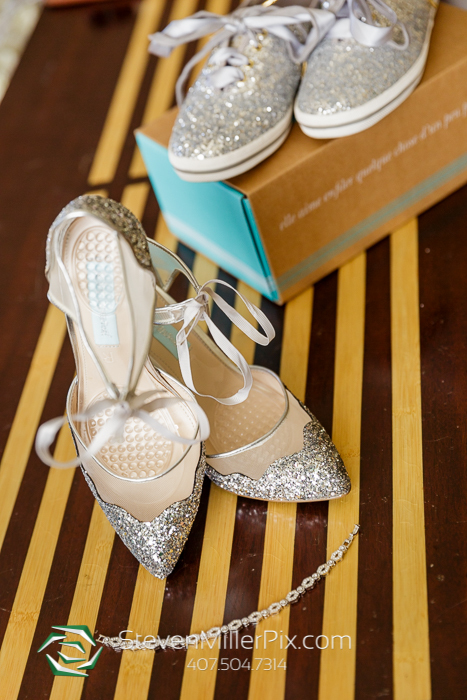 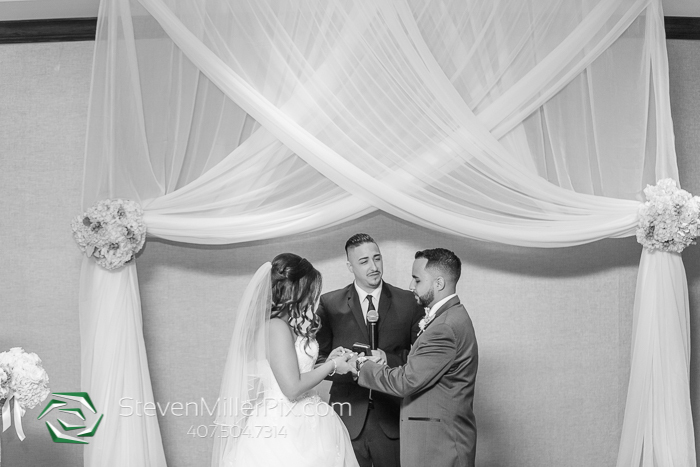 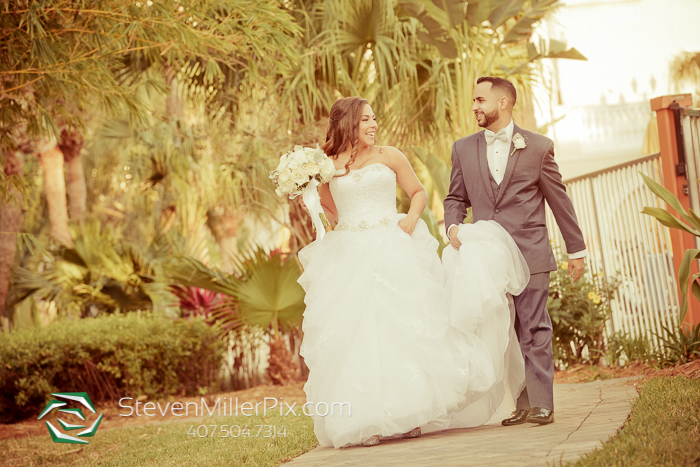 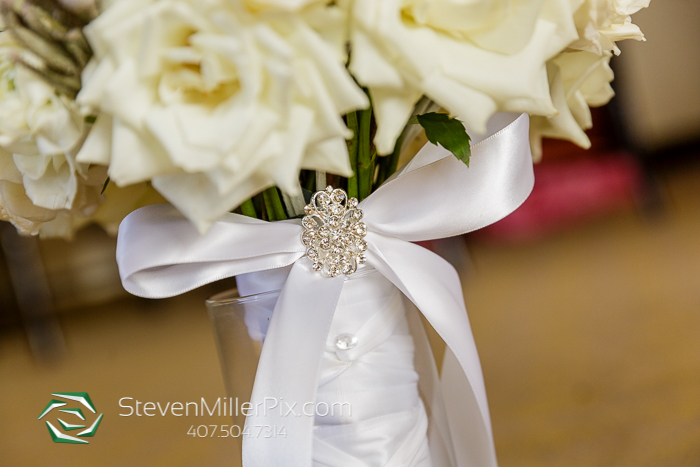 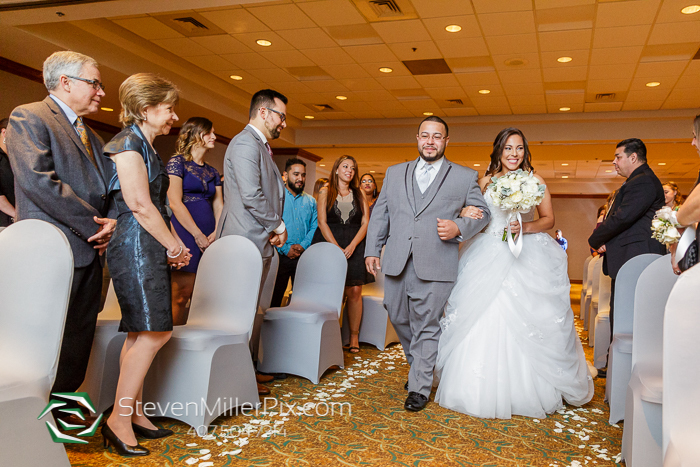 After their first look, it was time to head to the Florida Bay Ballroom for the Ceremony! 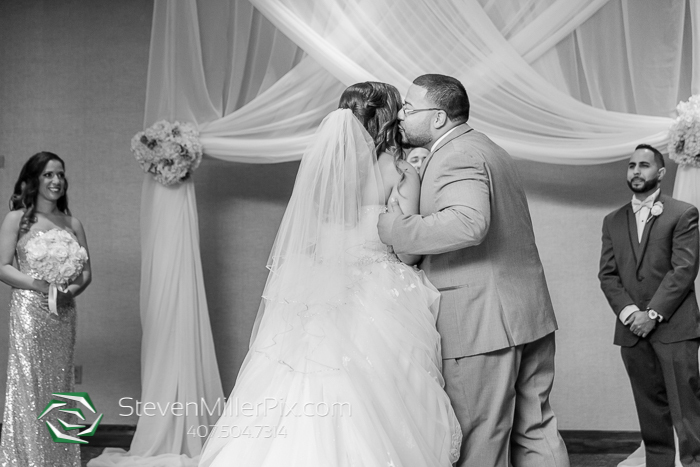 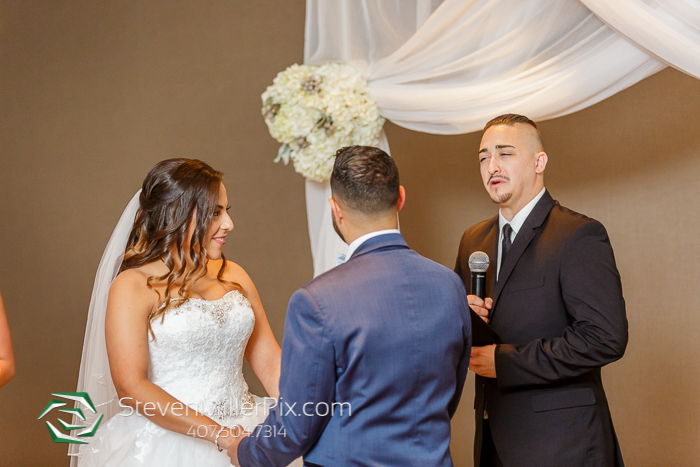 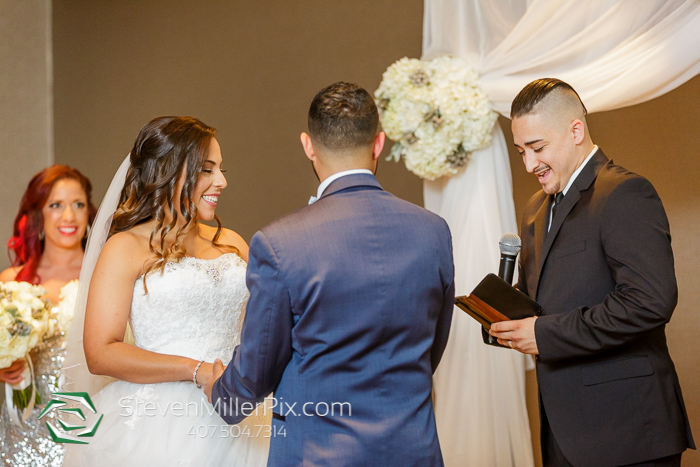 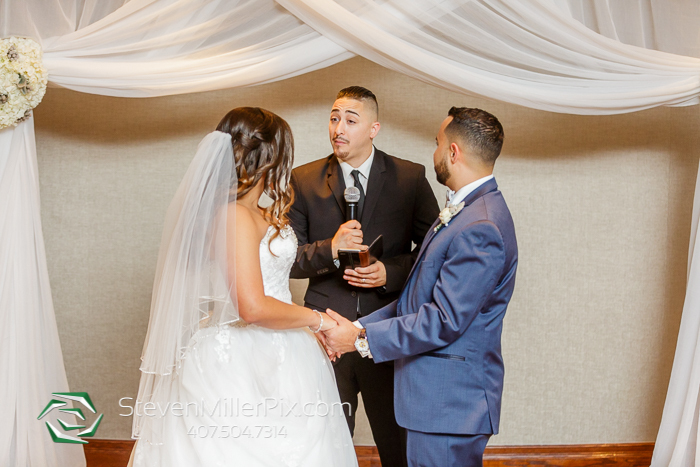 With Sensational Ceremonies Officiating, Vanessa and Gary exchanged vows and sealed the deal with the kiss! 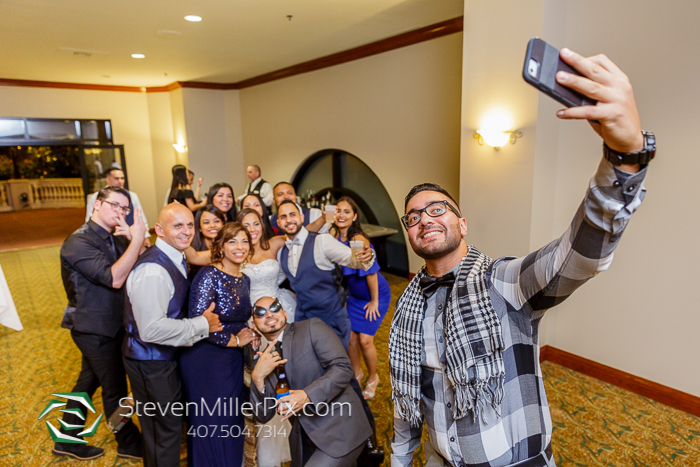 After the ceremony, we enjoyed some laughs as we captured the pictures of Vanessa’s and Gary’s families. 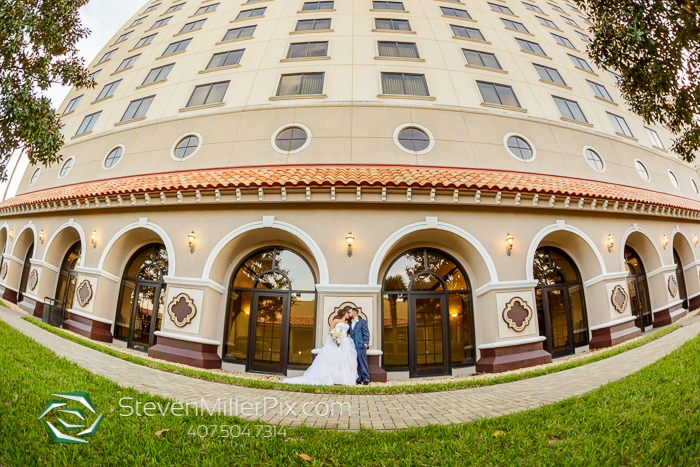 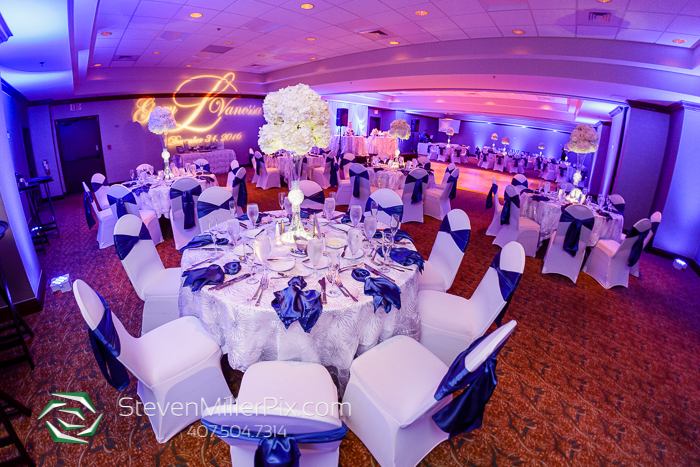 Next, it was time to head upstairs to the Tampa Bay Ballroom where the reception would take place! 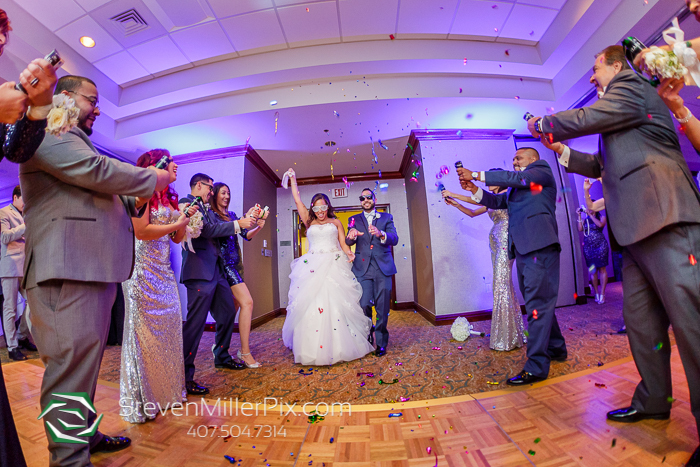 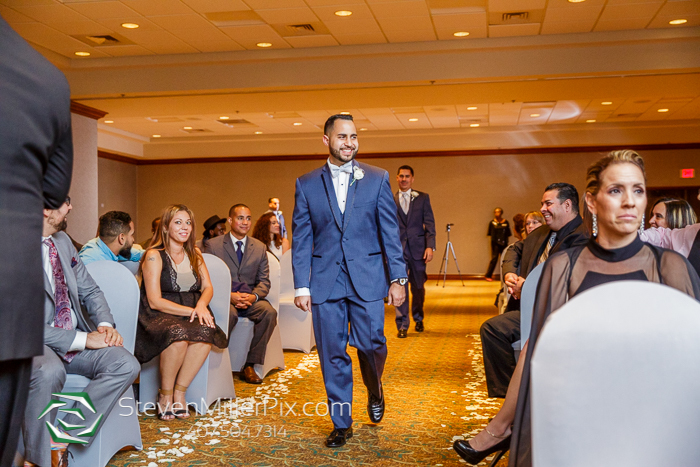 During the introductions, the bridal party formed two lines and popped confetti as the new couple made their entrance! 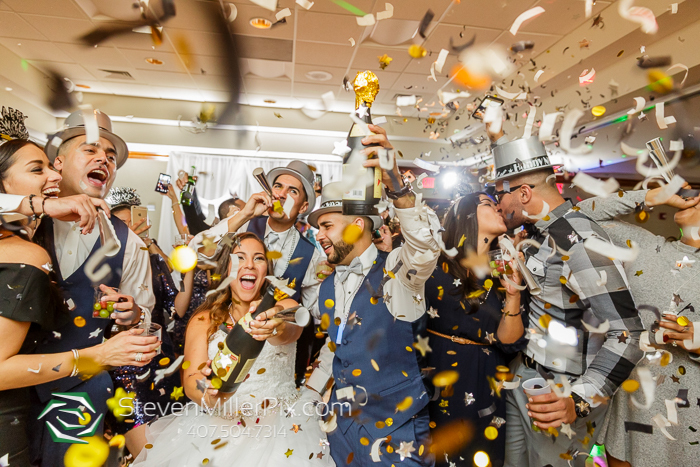 What a fun way to start the celebrations off right! 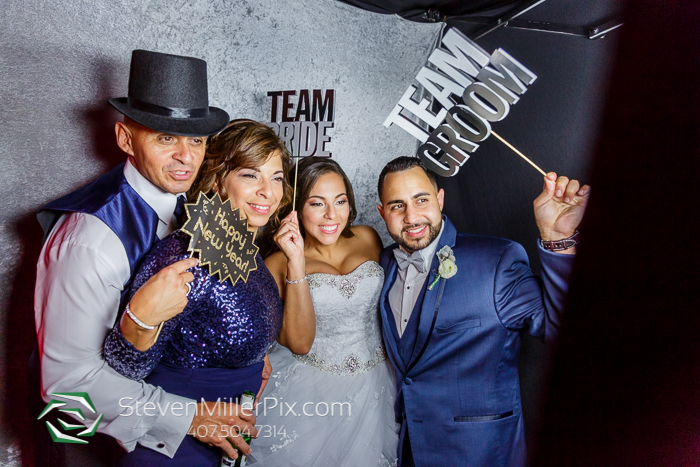 Access DJs, Photo & Video provided the incredible lighting and kept the party going all evening with their fun tunes! 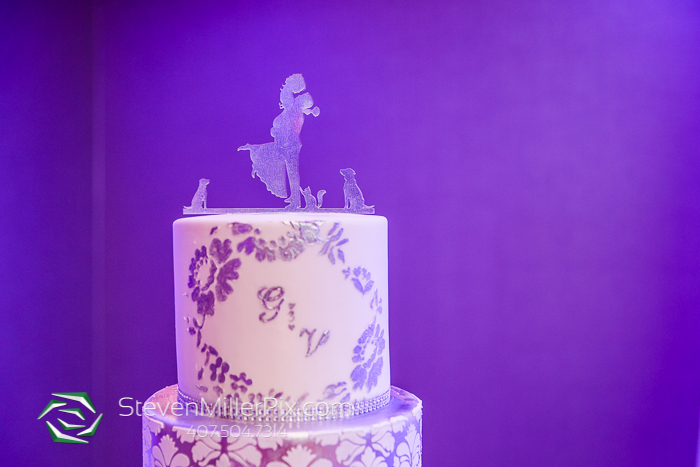 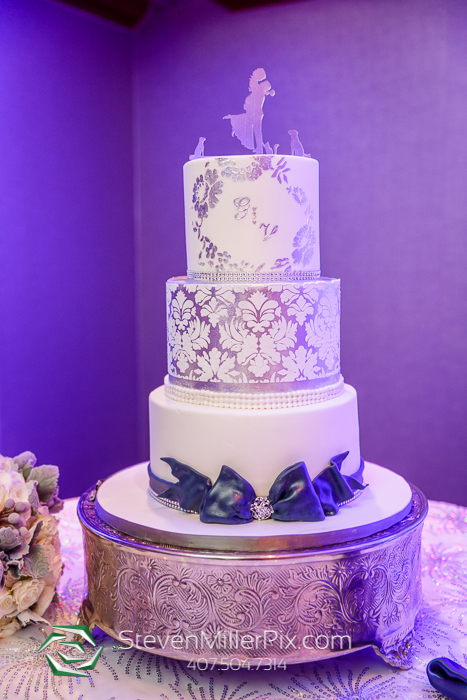 We took a break to cut the incredible cake which was designed by Sweeter Than The Rest. 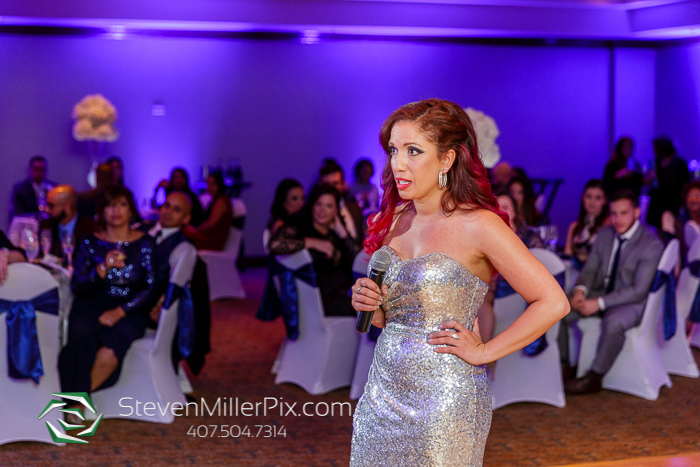 Did you see?? 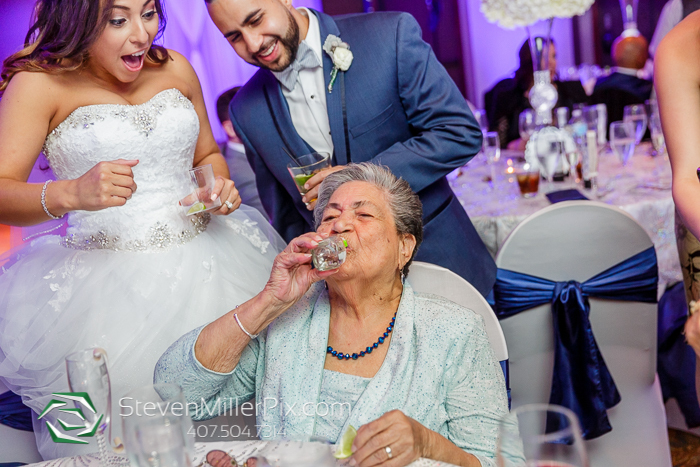 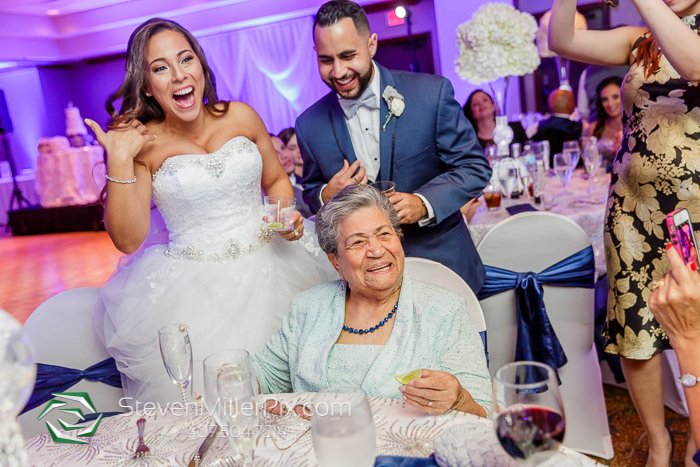 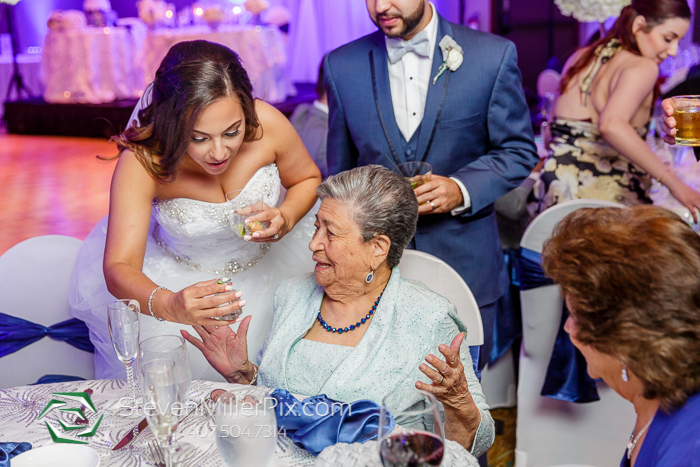 Vanessa and Gary made sure their Great Gma took her celebratory Tequila shot, a family tradition! 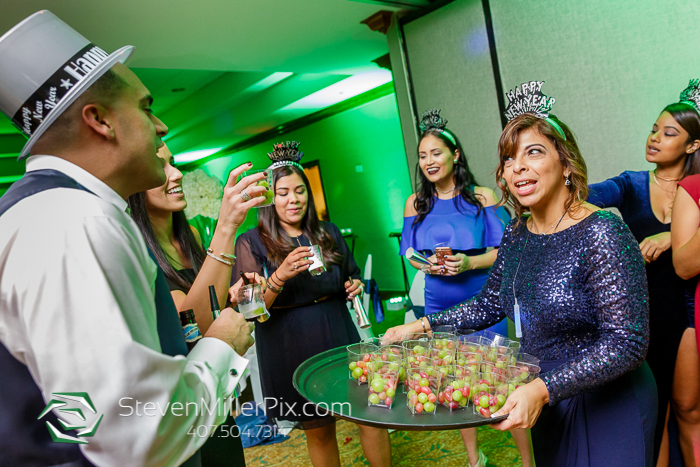 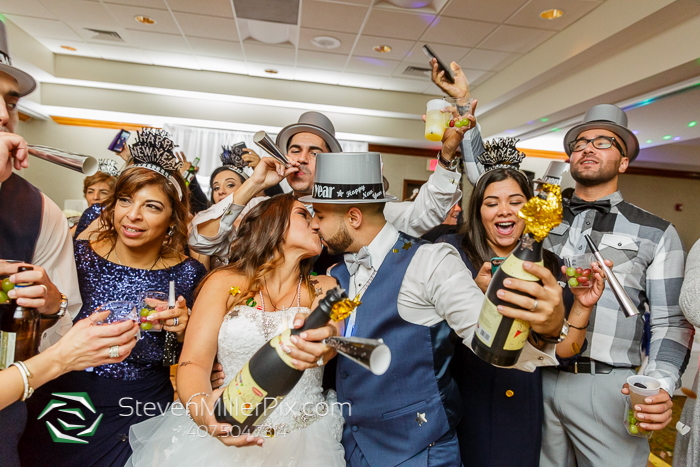 Since it was New Years Eve, the DJ counted down to midnight and Vanessa and Gary popped Champagne Poppers as the clock struck 12! 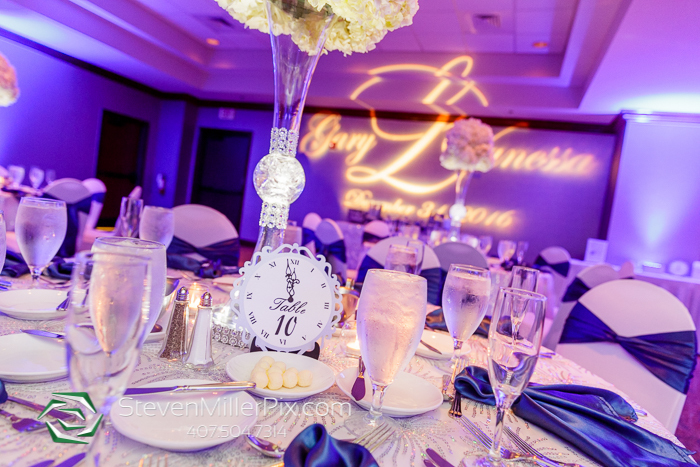 Thanks to Anna Christine Events and RJ Glamour, the whole day ran smoothly and all the guests had a great time! 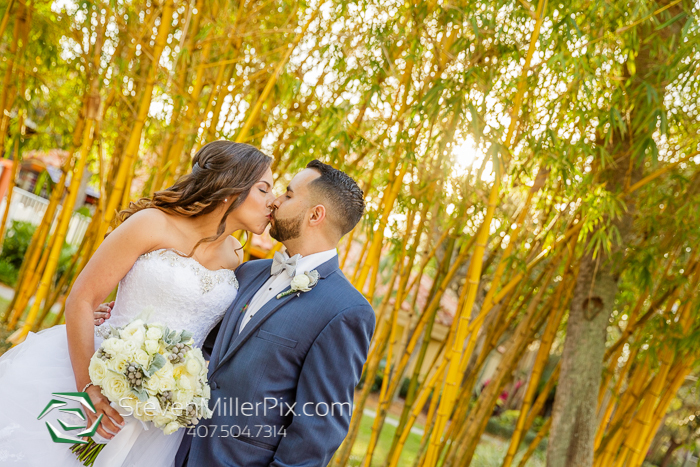 We are incredibly thankful that Vanessa and Gary let us capture this fun day for them and we wish them all the best in the future! 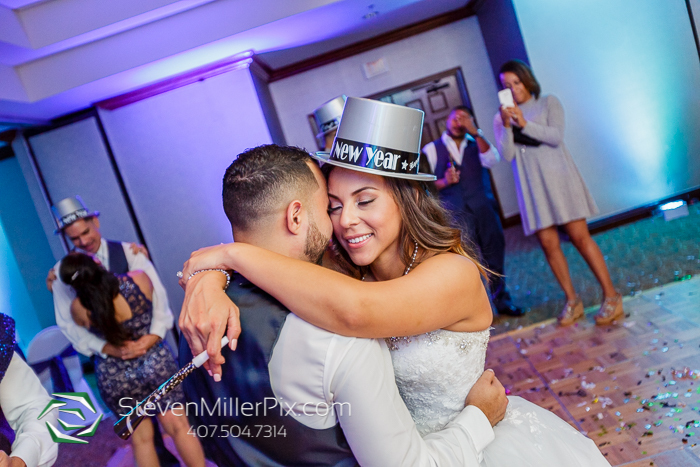 What an amazing way to bring in the new year!